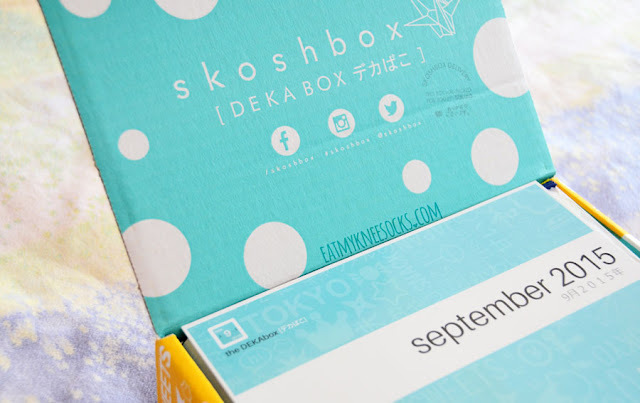 Today I have a (long overdue) review of the September 2015 Skoshbox DEKAbox! 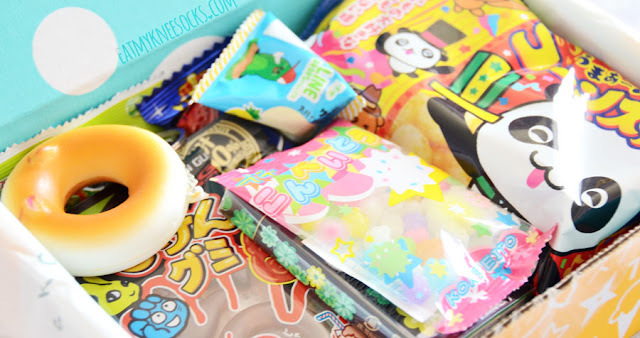 This is a monthly subscription box full of Japanese sweets and treats, including about 1lb of adorable and delicious snacks in each box, as well as a mystery accessory! Review after the jump. All of the previous subscription boxes that I've reviewed have had pretty nice packaging, but I definitely have to say that Skoshbox's packaging is the best so far. The DEKAbox comes in a yellow-orange printed box with a teal green interior. 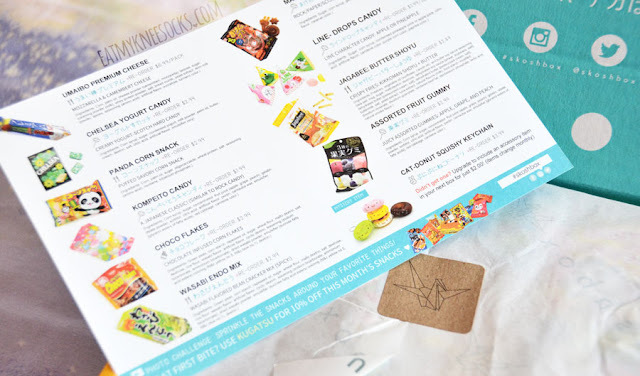 Inside the box, there's a cute printed card with the names and ingredients for all the snacks, along with the prices if you're interested in buying them directly from the Skoshbox shop. 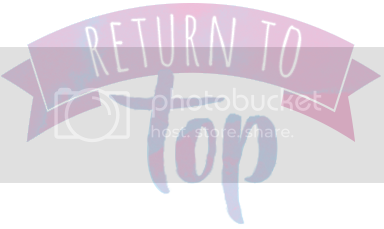 This is amazing and helpful, not only because it tells you what you're getting, but also because you can easily find your favorites and order them from Skoshbox's site! 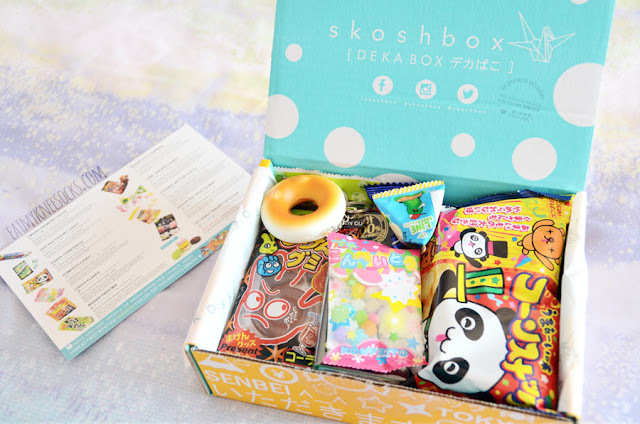 The first Japanese snack included in the September 2015 Skoshbox DEKAbox was a Premium Umaibo mozzarella and camembert cheese stick. This stick is sold in the Skoshbox shop for $6.99/pack (10 sticks). I've never tried or heard of Umaibos before, but I did some Googling. 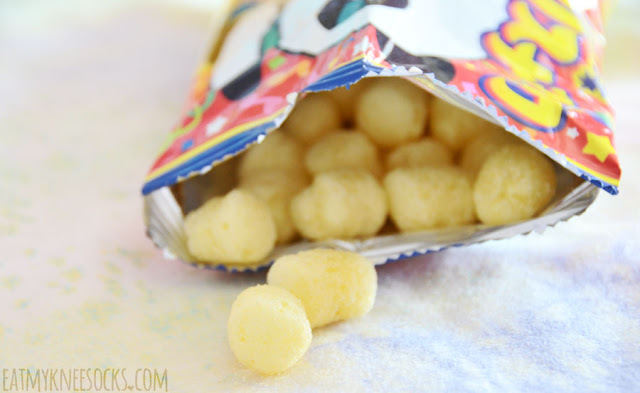 They're basically puffed corn snacks, and they come in tons of flavors, from savory takoyaki and cheese flavors to sweet chocolate and caramel varieties. 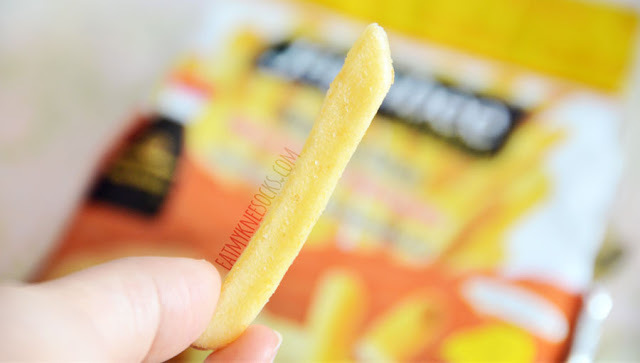 This Umaibo cheese stick tastes really good, and if you're a fan of cheese puffs, these have a similar taste. They have a sort of puffed, Cheeto-like consistency, with a hollow center. Yummy and cute! 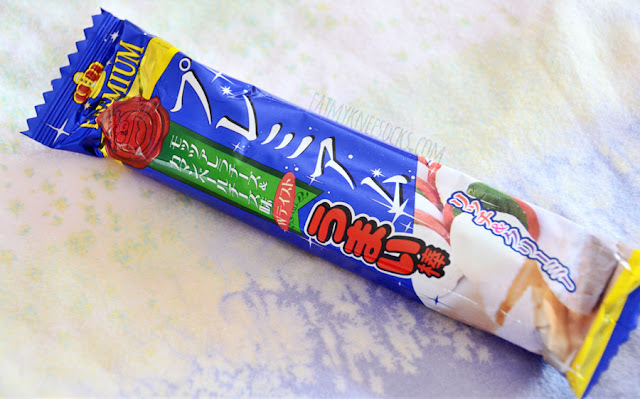 Next in the September DEKAbox was a pack of creamy yogurt-scotch hard candies, known as Chelsea yogurt candy. One pack of these sells for $2.99 in the shop. 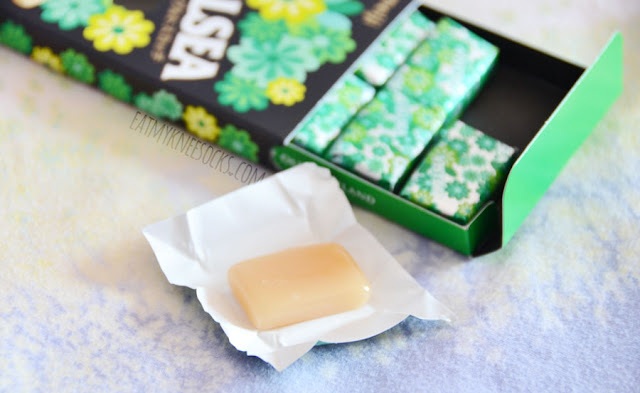 These candies were packed nicely, and they have a sweet, buttery, creamy flavor that lasts for quite a while! Skoshbox also sells them at a relatively cheap price; I've seen the same size boxes sell for $6 or $7 on some online sites and even in Asian supermarkets. 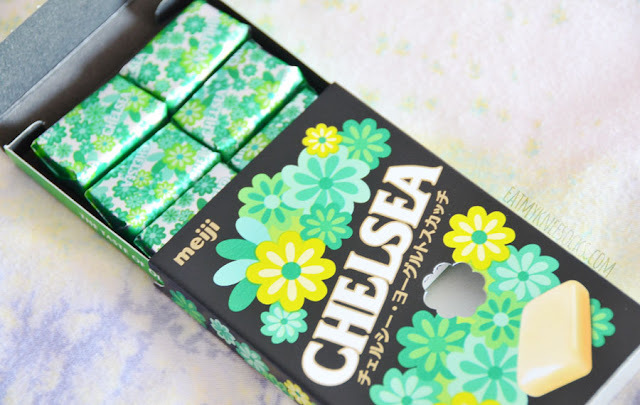 Overall, I really like these Chelsea yogurt scotch candies! 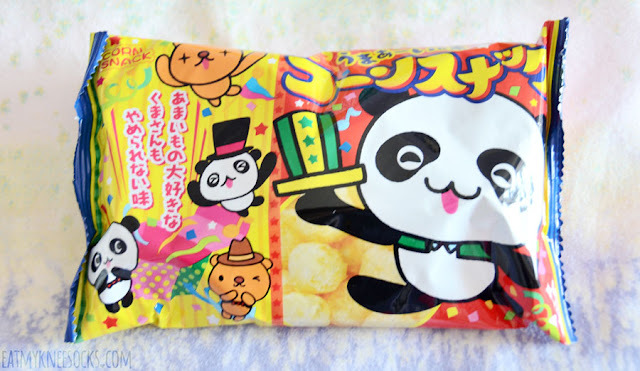 Item number three was a bag of Japanese panda corn puffs, priced at $2.99/bag. 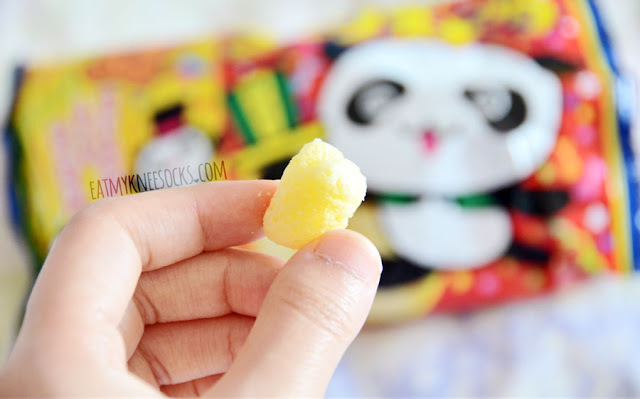 These taste mildly similar to the Umaibo cheese sticks, but unlike cheese puffs, they have a bit of sweetness to them. These aren't super crunchy, and are actually surprisingly soft. I like the taste of them, and it's a good size to serve as a decent snack. I do wish, though, that they were a bit crunchier, but otherwise they're delicious! 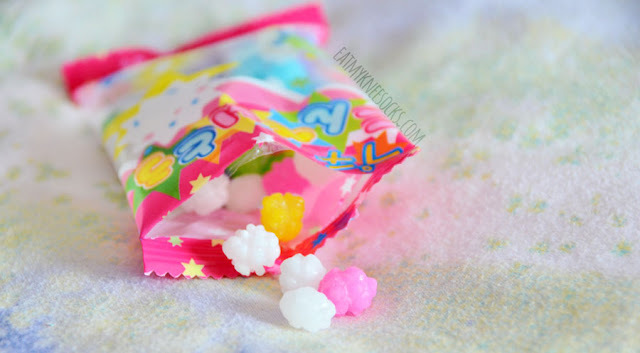 One of the smaller packs in the September 2015 Skoshbox DEKAbox was the Kompeito candy, a little bag of pink, white, blue, yellow, and green that sells for $1.99. 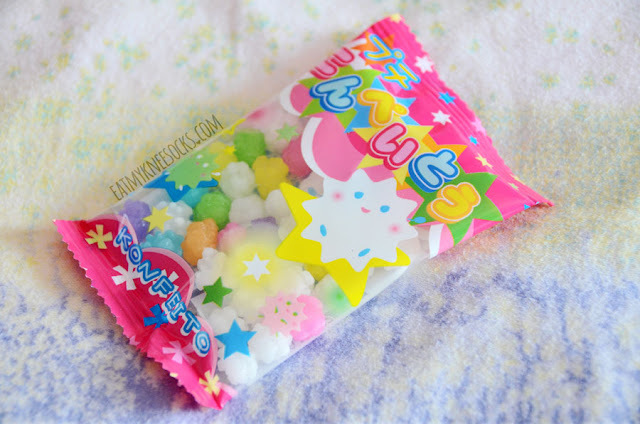 Konpeito is actually a traditional Japanese sugar candy, which comes in many colorful hues. The differently-colored candies all taste the same, and they taste a lot like rock candy, but with even more sweetness. 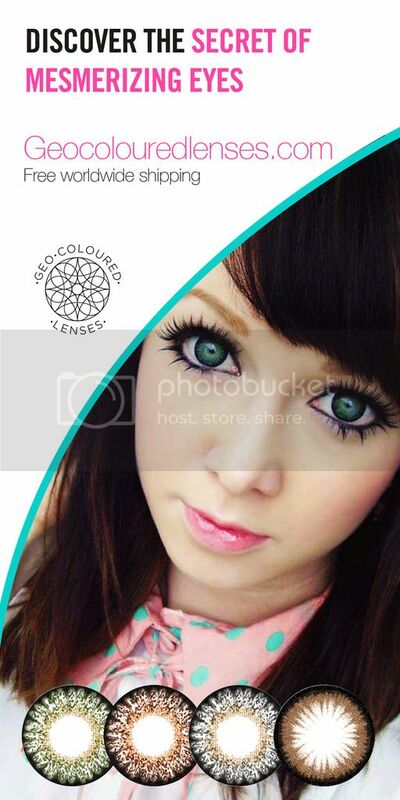 A bit too sweet for my tastes, and there's a tiny bit of chalkiness to them, but they're so cute! 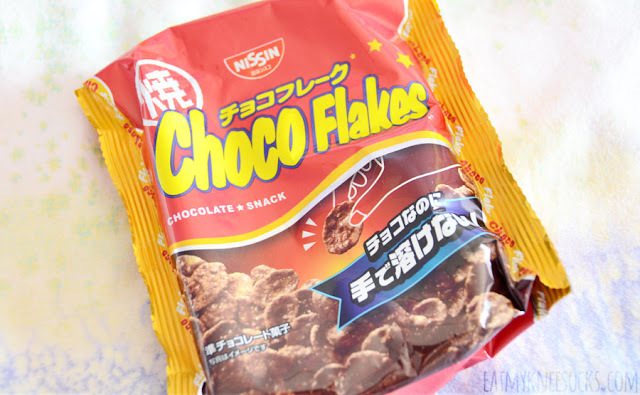 The fifth snack included in this month's DEKAbox was a bag of Choco Flakes. These chocolate-flavored corn flakes retail for $3.99/bag. 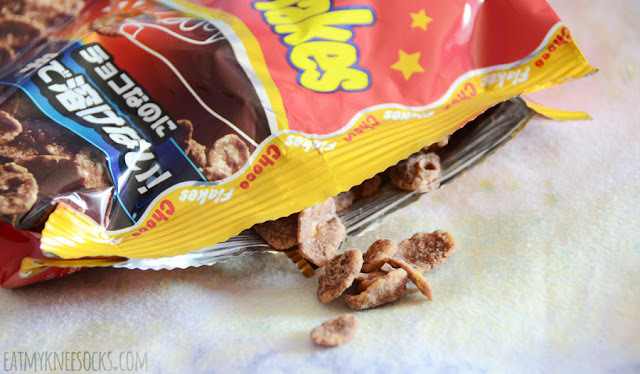 I love these choco flakes; they're probably one of my favorites from this box! They're crunchy and have a well-balanced sweetness that gives a good, rich chocolate flavor without being overwhelmingly sweet or candy-like. The bag is a good size too, and I'll definitely be looking for these in stores. One of the savory snacks in this Skoshbox DEKAbox was the pack of spicy wasabi endo mame snacks. These are green, wasabi-flavored bean crackers that Skoshbox sells individually for $2.99/pack. 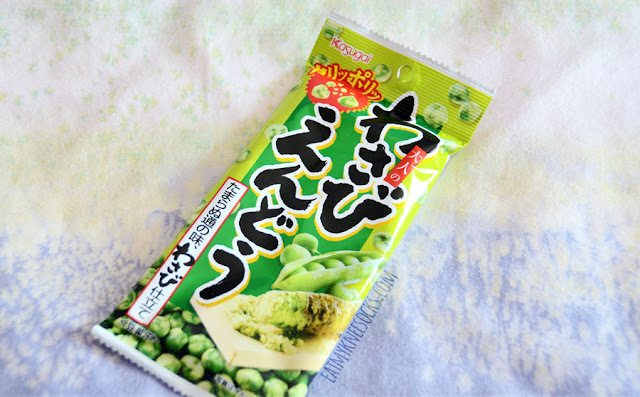 These wasabi endo snacks are crunchy and definitely have a wasabi flavor. 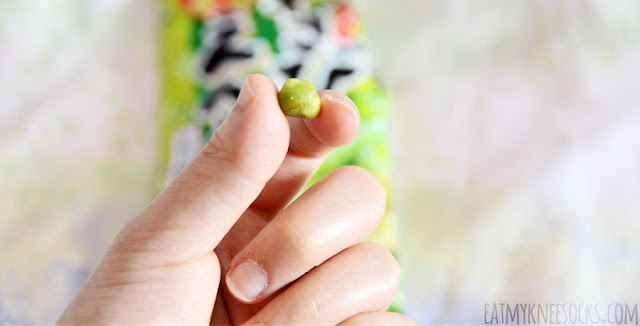 The wasabi isn't too strong, and there's only a pinch of spiciness, so don't be afraid that you can't handle these. Overall, they're really tasty, and I like them more than I'd expected to! 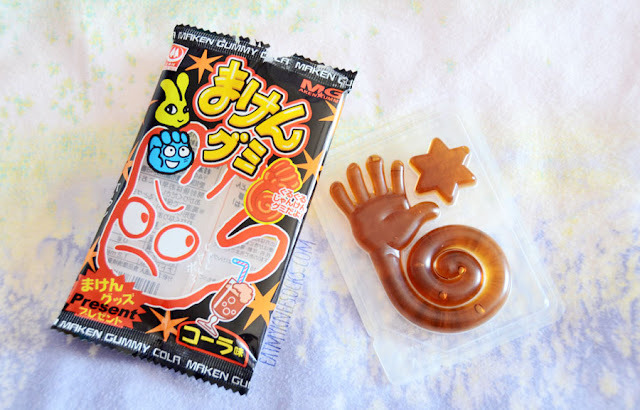 Of course, what's a Japanese mystery snack box without that one bag of soda-flavored candy? September's DEKAbox included a pack of rock-paper-scissors-shaped cola gummies, costing $2.99 in the Skoshbox shop. The look and packaging of these gummies is pretty interesting, and they do have that cola flavor, along with sweetness. Not my favorite, since I'm not too big on soda-flavored candy. 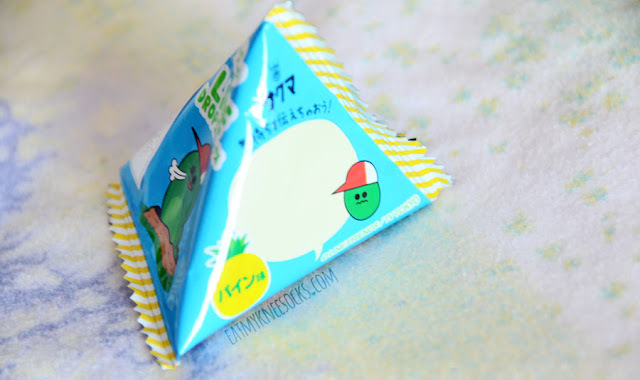 The eighth snack in this month's box was a pyramid-shaped bag of Line character candy. These candies come in apple or pineapple flavors for the price of $1.99/set. The one I got was pineapple flavored, and the small package comes with three pieces of hard candy. The candy itself is sweet and really yummy, but the package is quite small. 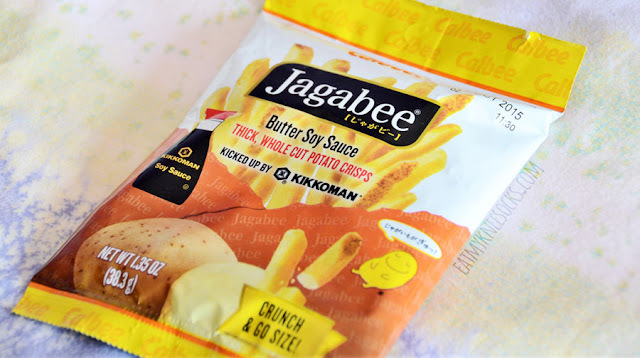 One of the most interesting snacks included in the September DEKAbox was a bag of Jagabee French fry snacks in the butter and shoyu flavor. 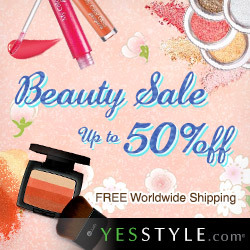 This bag sells for $2.49 in Skoshbox's shop in the "crunch & go" size. This was the only snack that showed signs of damage (I'm not sure if it occurred during Skoshbox's delivery, or if it was delivered that way from the manufacturers). It was just small damage, though; some of the fries were broken, but they weren't crushed. 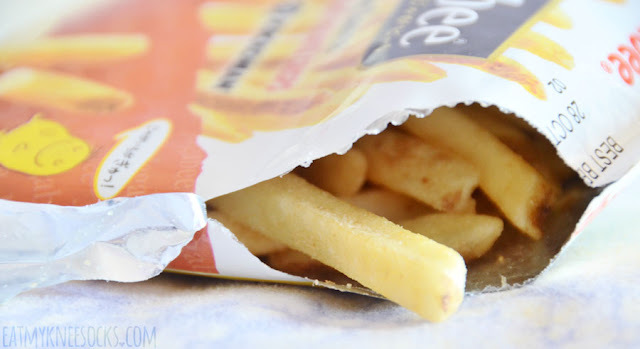 These crispy Jagabee fries look like real french fries, but have more crunch to them and less of that oily, greasy feeling. They taste delicious, with that Kikkoman butter and shoyu flavor; I'm not good at describing tastes, but these crispy potato snacks have a very unique and memorable taste. One of my favorites from the box, along with the choco flakes! 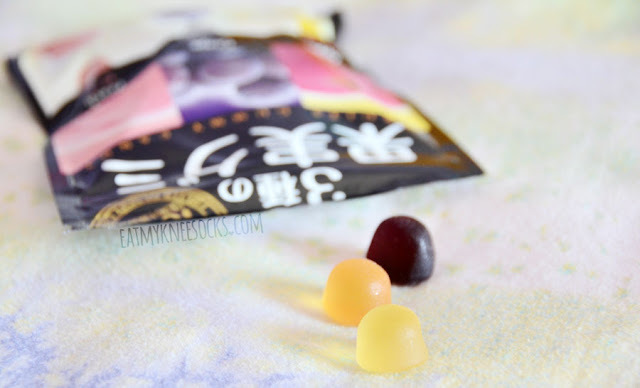 The tenth and final snack in the box was a bag of Kajitsu assorted fruit gummies. 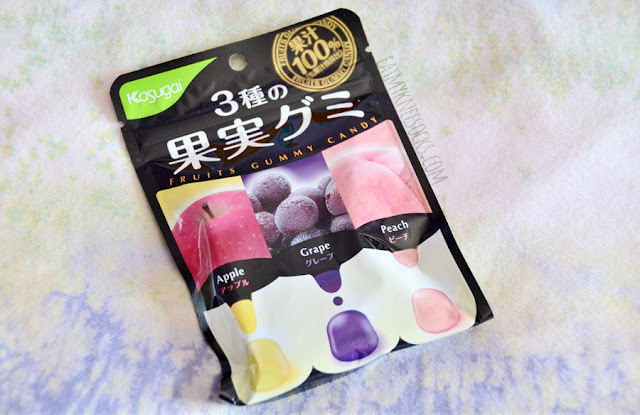 This $2.99 pack includes apple, grape, and peach-flavored gummies. I love that the bag is resealable, so you can eat a couple gummies and save the rest for later. 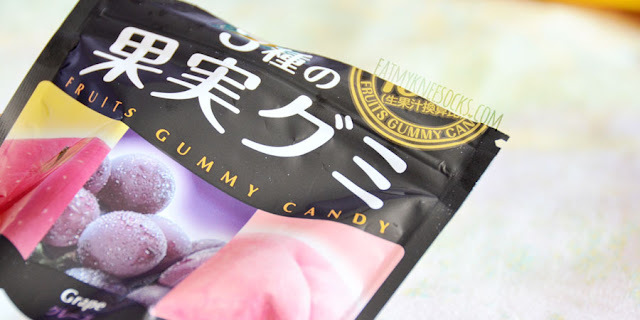 The fruit gummies smell delicious, fruity, and sweet, but actually don't taste too sweet. They're chewy, and juicy, with a decent amount of sweetness. 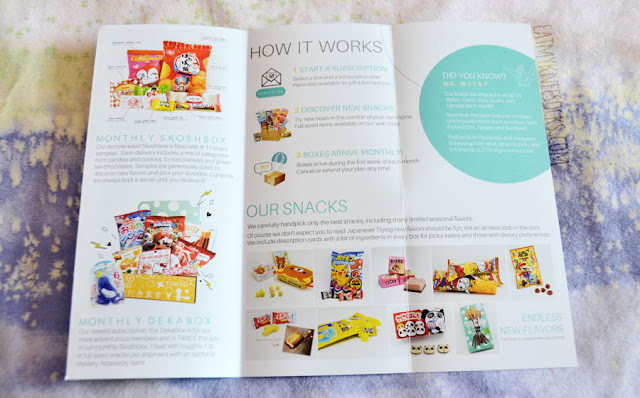 Above were all the snacks included in the box, but Skoshbox gives you the option of paying an extra $2.00 to upgrade to include an extra accessory. 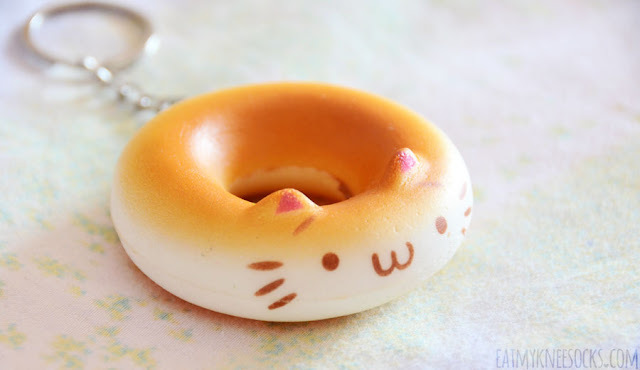 For the September box, the mystery accessory was a cat donut squishy keychain, originally costing $3.99 and sold in five colors. 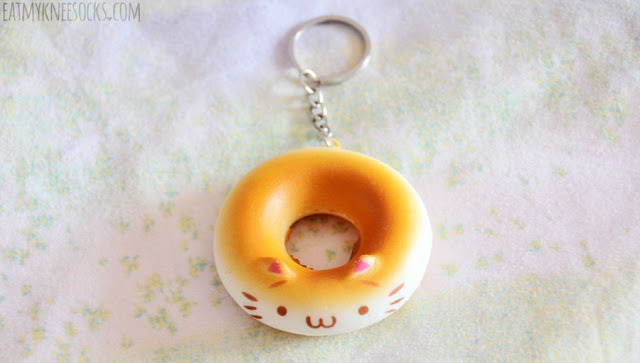 The keychain that I received was cream/light brown-colored; these cat donut keychains also come in dark brown, green, pink, and yellow. 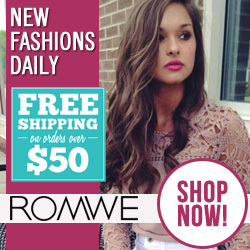 I personally would've preferred pink, but no matter which color it is, it's still super cute! 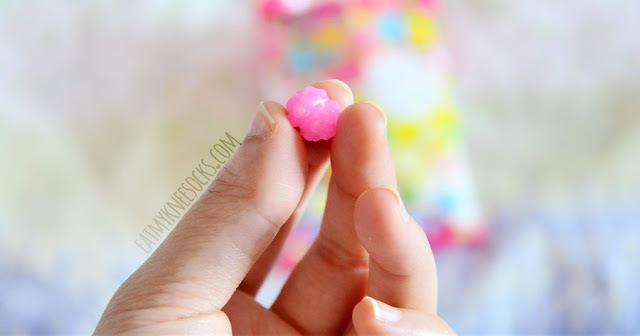 It's squishy and adorable; perhaps not too practical, but too cute not to love! Here's how I'd rate the September 2015 Skoshbox DEKAbox, judged on pricing/value, taste, and adorability (is that a word?). The DEKAbox costs anywhere from $20/month to $24/month depending on which plan you pick (or an extra $2 for the mystery accessory) for approximately 1lb of full-sized snacks in each box. 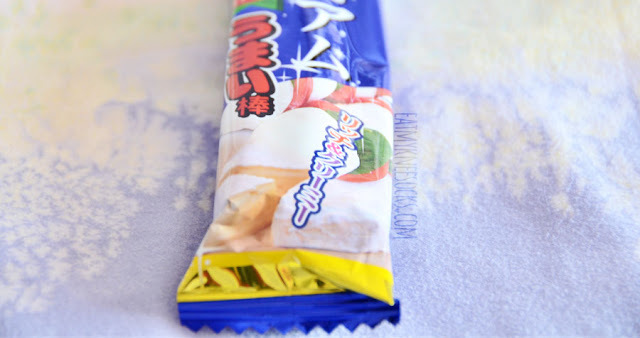 It has a good variety of snacks and enough to last a while, though many of the snacks are small candies. 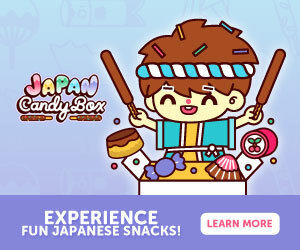 The value of this box is about $30 compared to buying the snacks individually from Skoshbox, so no matter which plan you pick, it's still a good deal. It's not a huge difference in savings, though, but if you love trying out new snacks, I'd recommend it! 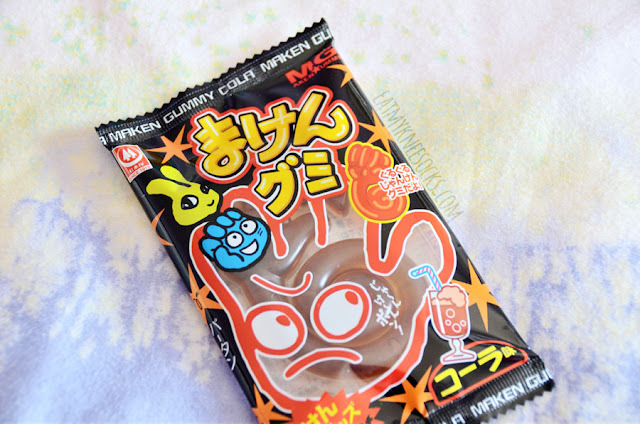 There wasn't a single item that I really disliked, and they were all pretty delicious, with some items (the Jagabee fries, choco flakes, and Chelsea yogurt candy in particular) that I love! 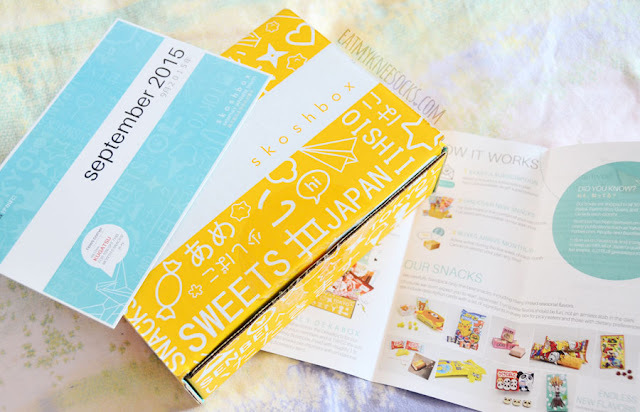 I also really like how Skoshbox varies the flavors included in each box, so you get a mix of sweet and savory. 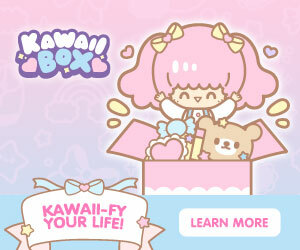 Japanese snacks are always packaged so cutely, and the box itself was decorated very nicely. It makes for the perfect monthly gift, and the cat donut keychain is adorable! 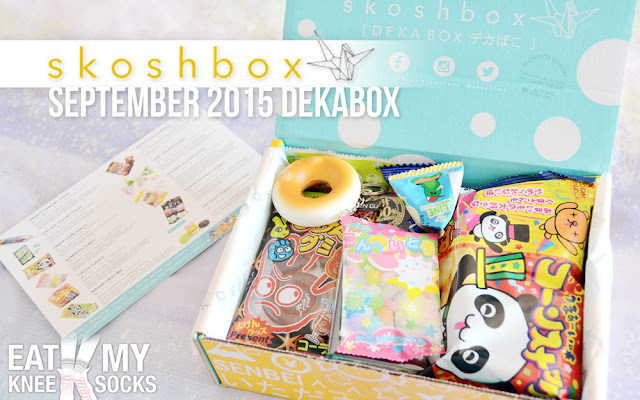 Overall, I had a very pleasant first experience with the Skoshbox DEKAbox, and I got the chance to try out so many new and delicious snacks! 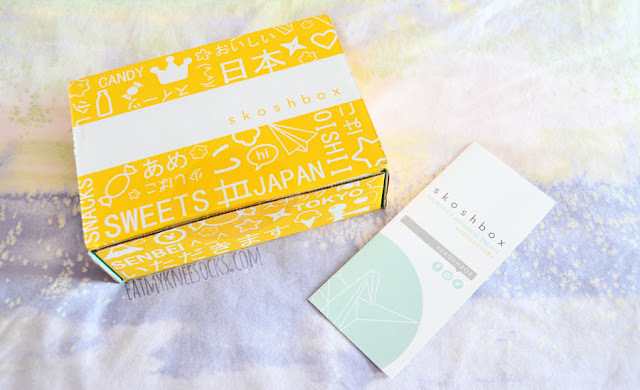 Getting the Skoshbox in the mail really put a smile on my face; it's filled with yummy Japanese treats, and packaged like a Christmas present! I'd rate it more than 5 stars if I could! 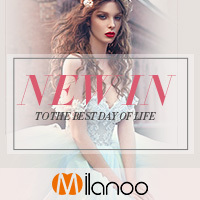 Giveaway: $120 SheIn Store Credit!